Cornwall’s Spaced out Stoner/Sludge Trio, Cybernetic Witch Cult’s 2017 album ‘Trogolodithic Trip’ is finally available on Vinyl. Featuring 6 tracks of fuzzed out grooving doom, Cybernetic Witch Cult have used this opportunity to rejuvenate some old fan favorites from the band’s early days, with an older, wiser Alex Wyld delivering fresh performances that bring the older tracks in line with the brand new material, and new drummer Lewis May tying things together with a cohesive approach to the newer tracks. New tracks ‘Cult of the Druid’ and ‘Sagittarius A*’ have become live mainstays and firm fan favorites, with equally popular music videos available. Originally released on CD and Digital platforms in May ‘17, the self released album has been remastered for vinyl and is available on “12 gatefold, with updated liner notes and additional lyrics. 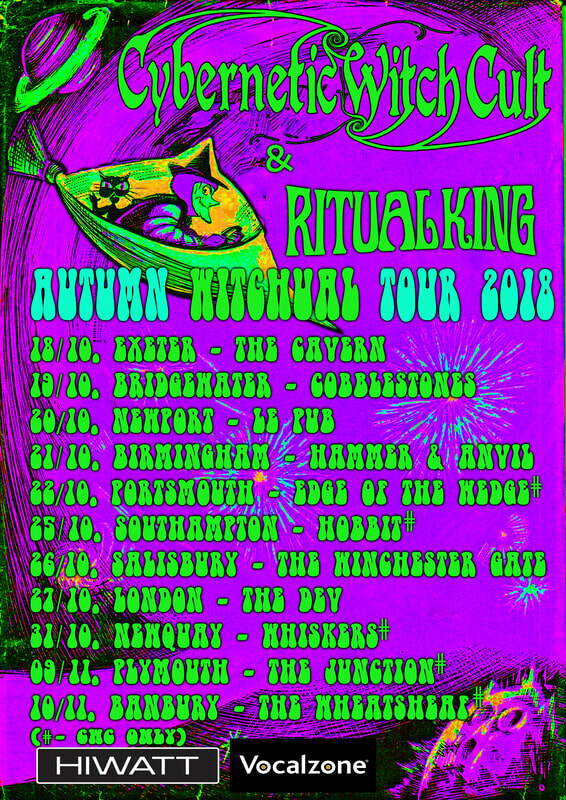 Cybernetic Witch Cult have a UK headline tour planned for October in support of the new release, with support from the fantastic Manchester based heavy blues trio Ritual King. As well as bringing their most recent album to vinyl, the band also spent october holed up at crows nest studio with Sam Thredder recording their follow up effort, and select tracks from this as yet untitled album will be showcased alongside the support for the new vinyl. Whether you’re completely new to Cybernetic Witch Cult or if you’ve been with them since the start, this tour is not to be missed.